Over the past month I have been applying the Pai Rosehip BioRegenerate Oil religiously in the evening, to help restore my dehydrated and parched skin. This powerhouse oil is rich in omegas 3, 6, 7 & 9 to help regenerate my skin without irritation, plus it’s packed with a highly concentrated blend of organic rosehip to help fight against the ageing process. Overnight the youth-boosting elixir adds a surge of moisture to keep my skin looking fresh and bouncy. 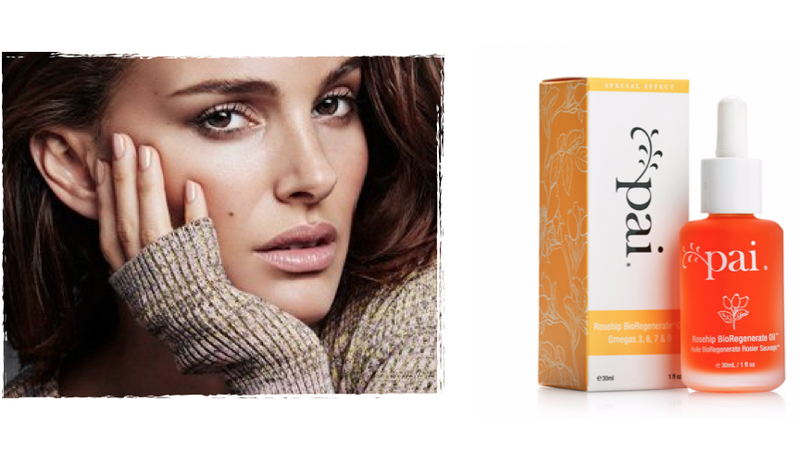 The Pai Skincare celebrity fans include Natalie Portman who says, I love Pai organic skincare – particularly the Chamomile and Rosehip Cream’.